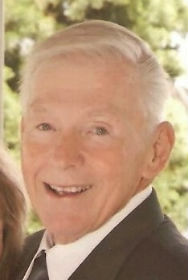 Bob Dodson, a long- time resident of Santa Barbara, passed away peacefully Wednesday, April 29 at Cottage Hospital with his loving wife Elaine by his side and, at death as in life, surrounded by friends and loved ones for a last goodbye. Bob lost a fierce 5+ year battle with pancreatic cancer that began in 2009. Bob will always be remembered for his kindness, laughter and joy. He left his friends and loved ones reluctantly. Born in New York on May 13, 1942, he grew up in the Bronx and at age 10 his family moved to Port Washington on Long Island where he enjoyed the freedom of the suburbs. Always the sweet social middle child, Bob easily made many friends that he kept for life. Known as “Gills” at Boy Scout Camp; he held a record for holding his breath under water the longest. At Paul D. Schreiber High School he dabbled in politics (running for class president) and theater (The Iceman Cometh), and was a big asset to his football team (tackle). After high school graduation in 1960, he joined the Navy and spent an eventful four years on the Submarine Tender, the U.S.S. Gilmore stationed in Charleston, SC. Bob was very proud of his time in the Navy where he also earned the friendship of many of his shipmates. His family was so pleased when he was awarded a ‘Man of the Month’ plaque. His ship was sent to Cuba during the “Bay of Pigs” military blockade. He entertained us with many interesting stories about his antics in high school and 4 years in the U.S. Navy. Bob remained a patriotic citizen all his life. Service completed — he returned to Port Washington and reunited with his High School sweetheart Elaine Small, who had also returned after completing her education in Physical Therapy. They were married in 1967 and headed west. Utilizing the G.I. Bill, Bob started college in northern California, transferring to UC Berkeley to complete his undergraduate degree. During his stay in northern California, Bob became a loyal fan of the SF 49ers and enjoyed watching all football. Throughout his life his friends were always welcome to stop by when a game was on for an impromptu gathering and friendly bet. Bob and Elaine relocated to Los Angeles as Bob was accepted to the Physical Therapy program at Children’s Hospital, graduating as a Physical Therapist in November 1972. In 1973 they set off to travel Europe for many months in a new VW van before returning to California and a job for Bob at Cottage Hospital’s Physical Therapy Department in January 1974. At Cottage Hospital Bob made many life-long friends, some of whom were at his side to say goodbye. He helped coach the “Cottage Cuties” softball team and threw fabulous parties at his house for staff and friends. When he left Cottage Hospital, he and Elaine established their own business “Dodson’s Therapy” in Goleta and also had a mobile van for treating patients in their homes. After many hard-working years of serving the Santa Barbara Community’s rehabilitation needs, Bob and Elaine retired in 1984. Traveling, camping, entertaining friends and spending time at their lovely home in Lake Tahoe, occupied a great deal of their time until Elaine’s death in 2005. In 2008, Bob was fortunate to meet the second love of his life, Elaine Daugherty. Their relationship grew and they were married in a beautiful ceremony at Ashland OR in May 2012, when a new chapter of life began for both. Bob did not have children of his own, but he totally welcomed Elaine’s three adult children, and six grandchildren. During Bob and Elaine’s time together, they honeymooned along the coast of California, visiting Bob’s earlier life at Cal Berkeley and the commune on Cannery Row in Monterey. Together, they remodeled their home, went to New York to see the fall colors and attend Bob’s 50th high school reunion, and enjoyed a friend’s ranch in Northern CA surveying their tree farm plus a little fishing. Most important of all, Bob and Elaine spent five glorious summers in Tahoe, full of family, friends and laughter. Bob enjoyed the Symphony, Opera, the Cal Lottery, stock market, barbecuing, Wednesday nights with his fellow harbor guys, and preparing a “Bob’s Fog” for his friends. Embracing the good side of everything was natural for Bob, and we will miss him every day. What an amazing man! Pending services will be private, but look up and send a toast to Bob in every magnificent sunset. He would like that. Bob is preceded in death by his first wife Elaine, parents Horace and Eileen Dodson, and beloved cousin James R. Gaffney. Bob is survived by his devoted and loving wife Elaine and her three children Kasey, Megan and Kevin; brother James Dodson (Nory) and nephew Mark of Madrid, Spain; sister Ellen Clemons (Bob) of Santa Barbara; sister-in-law Genora (Small) Germek of Magalia and niece Colleen McDonnell (Rob) of Washington State; and many loving friends and extended family.